There are numerous ways to support our students and impact the FSHA community with your time and talent. Volunteers ensure that many of our cherished traditions continue. Whether it’s organizing lunches for Grandparents’ Day or sewing costumes for a theatre production, participating in these activities will make your FSHA journey that much more rewarding. The Parents’ Guild organizes and supports a number of events for the school community, such as the Mother Daughter Luncheon, Father Daughter Dance and the Faculty/Staff Appreciation Luncheon. The Parents’ Guild strengthens the FSHA community, enriching the social, cultural, educational and fundraising activities of the school. The Booster Club is a parent group that supports the Athletics department. Boosters often sell school merchandise at events and help organize, publicize and run the Athletics Hall of Fame Award Mass and Dinner, which takes place in February. Gala and Golf Tournament, our annual fundraising events, and Grandparents Day offer many volunteer opportunities, from participation on the planning committee to volunteering the day of the event. Plus, they are a great way to develop friendships with fellow parents. Friends of the Arts is a parent group that supports the Visual and Performing Arts department. FOTA helps organize, publicize and run events such as ComedySportz matches, the Fall Musical, the Dance Concert and the Art Show. 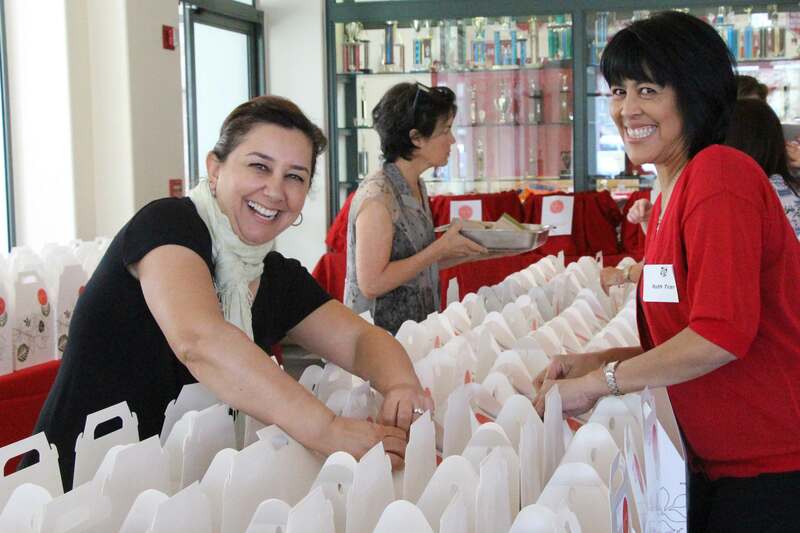 Advancement volunteers work with fellow parents to enlist much needed philanthropic support for the school and help educate the parent body about the FSHA’s exciting programs and initiatives, including the Flintridge Fund and A Vision for Veritas: The Moment is Now Capital Campaign. These volunteers serve as the "voice of the school," leading prospective parent tours during Open House, 8th Grade Visiting Days and other admissions events. They are important representatives who share their experiences with the next generation of FSHA parents. The Flintridge Fund Committee leads the efforts of FSHA’s Flintridge Fund by serving as co-chairs or committee members. Comprised of approximately 30 members, the committee has meetings, trainings and phonathons throughout the year and some outreach and follow up are done independently.